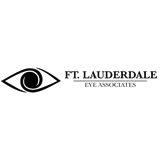 Ft. Lauderdale Eye Associates (Fort Lauderdale) - Book Appointment Online! We are a full service ophthalmology practice where listening to patient concerns and discussing all treatment options are our priority. Our services include comprehensive eye exams, sophisticated eye surgery, and contact lens fittings. We have an optical on the premises. We are conveniently located at 2466 East Commercial Blvd, just east of Federal Hwy. A covered parking garage is available for your comfort. He provided thorough medical advice in a very friendly manner. I would recommend him without reservation.